Why Won't Warner Brothers Reissue Apollonia 6 CD? Forums > Associated artists & people > Why Won't Warner Brothers Reissue Apollonia 6 CD? The bootlegs are going for ridiculous prices on ebay. The Japan pressing is hard to find and when you do find it, the asking price is usually over $500. Does Warner Brothers not care that they are missing out on all of the profits? Even if they press a few hundred copies for the Japan market, they would make a really nice profit. I don't get it. That´s a very good idea. I wonder why something like that hasn´t already happened. I understand that there is probably not a high demand for something so obscure such as an Apollonia 6 album so a campaign would make a lot of sense for both the fans and the record company. I would certainly buy a copy if it was reissued.With strong songs like "Blue Limousine","A Million Miles (I Love You)" and "Some Kind Of Lover",this album deserves to be re-released! Tired of waiting & burned My own from Vinyl. Sidebar: I have an ORIGINAL WB pressing of Vanity 6 & Jill Jones!!! I'd also love a reissue of the Mazarati CD. Baloney! We have all seen plenty of CD reissues of a lot of extremely obscure artists over the years. I'm talking albums that didnt even chart during their original releases. It will cost WB next to nothing to press a couple hundred copies and sell them at $40 a pop as Japan imports. Based on the sales of the bootlegs, the demand is definately out there and they would make a profit. maybe a Prince Sugar Walls outtake? if Warners doesn't want to do it,I wish they would allow a reissue label like Big Break Records to handle it. I was hoping that would happen but in case you didn't notice, Big Break has slowed down considerably on reissuing original albums. They are mostly concentrating on compilations. They has started reissuing some WB titles but then stopped. Funkytown Grooves has come to a complete halt with their reissues. So I don't think we will get that Apollonia 6 from any of the reissue labels anytime soon. I bet that the demand is higher than we realize.It's a Prince-produced project and in the wake of his death, there are probably lots of people searching for any recordings that he was involved in. I am actually surprised it never turned up on iTunes like Vanity 6did but I still think there is some legal issues with anything associated with paisley but this record was not part of paisley at all that stuff came after so it’s a little strange. 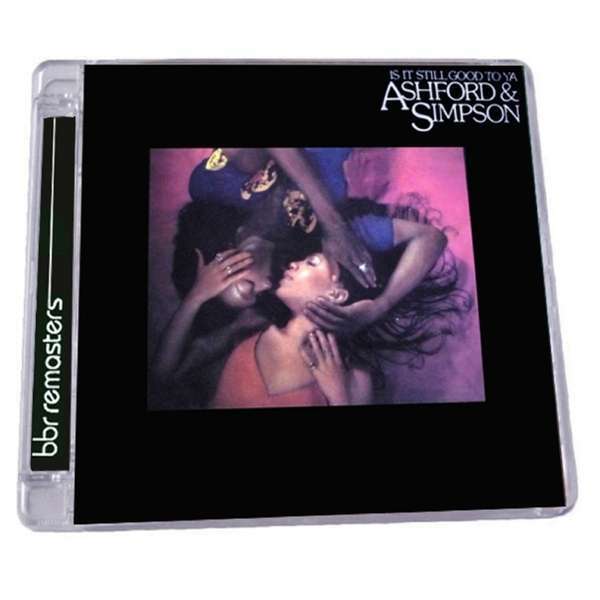 Did any of you Big Break Records supporters buy Ashford & Simpson's Is It Still Good To Ya 2015 expanded remaster? No,but I have the original CD.Is there anything special about the expanded edition? There's a sound dropout. I wanted to know if it's my copy and asked BBR but they never answered. I've asked on discogs too but no answer as of yet. The Vanity 6 album on iTunes has been uploaded by a bootlegger and it's a pity WB hasn't filed a complaint yet. Do NOT purchase it and if you have, ask iTunes for a refund. Why WB hasn't put those records on iTunes in the wake of P's death is a mystery. I do not believe there's any rights issues related to them. Regarding a potential physical reissue of Apollonia 6 I would assume it would make sense for Wb to wait and sort out a deluxe reissue with the estate, that would contain previously unreleased material. The project could be better marketed that way but for obvious reasons getting one's hands on unreleased songs and negotiating with the estate isn't too easy at the moment. The situation with most Paisley Park records is quite simple: most are now in the hands of the estate, a few are still in WB's hands. Except in maybe a few potentially complicated cases such as Kahoru Kohiruimaki, I don't think there are too many rights issues. Yes. The only reason why I purchased it was because of the "Alternate Version" of the title track. I couldn't tell the difference between the so-called "Alternate" version and the original album version. Otherwise, there is no difference. There may be a slight difference in sound compared to the Wounded Bird reissue but not enough to really notice. I was actually surprised BBR reissued Ashford & Simpson's entire WB catalog since most of it was already readily available in CD form and mostly duplicates of the Wounded Bird reissues while other WB artists catalogs that were badly in need of reissue and remastering were ignored. I was hoping they would at least finish Chaka's catalog and reissue some George Benson titles but doesn't look like it's going to happen. On track 4 Ain't It A Shame at 3:09 there's a glitch/dropout in Nick's vocals that completely ruins the listening experience for me. Is that a known glitch or is it jusy my copy defect? I know I'd buy it but reissue sales are usually low, I've been involved in a few over the years (from big acts too). Still would have thought it would be a no-brainer for WB to sell it digitally, though. yeah if they don't wanna bother with a full reissue/remastered CD,they should just put it up on iTunes and Spotify at least. I have an ORIGINAL WB pressing of Vanity 6 & Jill Jones!!! realistically how many copies would you say a reissued Apollonia 6 CD would sell in 2018? lets assume all the released edits are on it but nothing unreleased. Yeah I am not too sure why iTUNES does not have better control of where things are coming from. I figured it was a bootleg upload because beleive it or not a few years ago they did the same thing with the "CARMEN ELECTRA" album, which was on Paisley but for some reason they caught that right away within a week i think and it was gone, but Vanity 6 has been up awhile now, which might actually mean there is no owneership happening because WB would have pressured them to pull it and iTUNES Would have caught on if it has done numerous refunds on product. The same thing happened in 2010 the band a-ha played the Albert Hall and did their first 2 albums in order live and it was simulcast, a week later someone was selling the radio broadcast on iTUNES, i reported it and it was gone.